Grand Theft Terra Firma tackles settler responsibility head-on. David Campion and Sandra Shields disrupt the celebratory mythology of nation building by reframing the settlement of Canada as a complex heist masterminded by criminals in London and played out on the ground by a gang of greedy thieves. 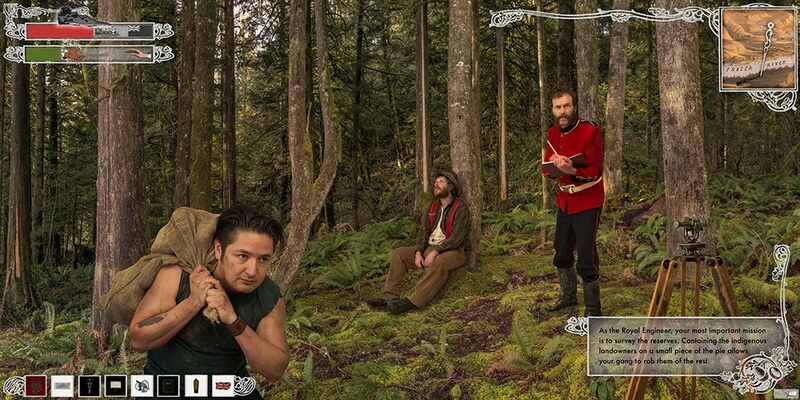 Combining photography and installation, and developed in collaboration with many partners from Stó:lō community, Grand Theft blends popular culture with original source material to consider Canada’s colonial history within the particularities of local experiences in S’olh Temexw, now more commonly known as BC’s Fraser Valley.